Baby Bump 19 Weeks: Mango! It is crazy to think that this little baby is already the size of a Mango! 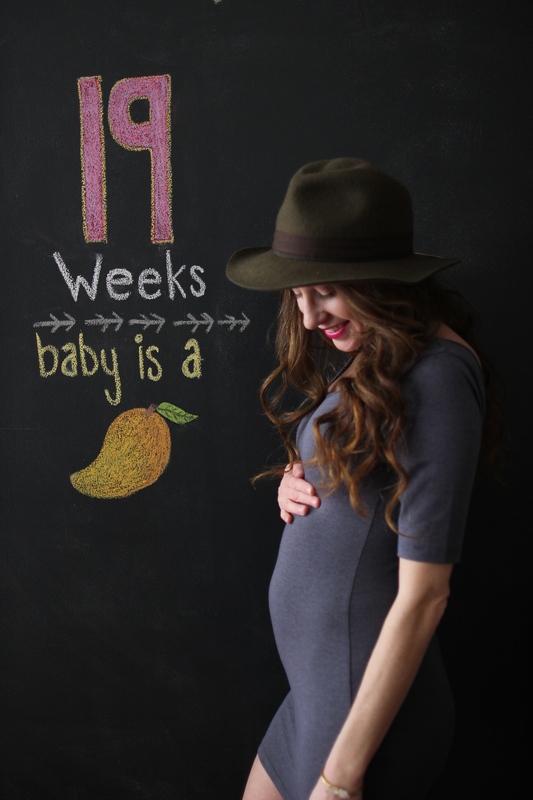 I love mangos and seriously mangos are honestly like kinda big when it comes to being a baby in the belly. Big News: So I also have some AMAZING news to share about this week. BABY STARTED KICKING!!!!!!!!!!!!!!!!! As I was sitting and watching TV after dinner, this little person started moving all over the place in the belly. It felt like baby was either swimming, having a dance party, or doing somersaults. Then, all of a sudden, I felt this kick and “owwww” I looked down and put my hand over where I felt the kick and sure enough, baby kicked three more times making my hand jump each time. Baby has been kicking (or punching, or elbowing) ever since! Just knowing that this baby is there, partying in my belly, was one of the greatest feelings I have ever felt in my life. I am already SO IN LOVE! Craving: Fruit, fruit fruit. I cannot get enough fruit. I feel like I eat fruit all day, especially apples, and strawberries. I wake up NEEDING FRUIT! Oh, and I am so thirsty all the time, it feels like I just ran for miles without water. Feeling: Hungry, and itchy, and I seriously get winded very easily. For example, on this being winded issue, I was at the gym the other day just stretching, and by the end of stretching I was literally already out of breath! UMM, my workout didn’t even start yet body! But all of these feelings remind me that my baby is growing and so with each feeling, it is SO WORTH IT! « We Have a Bun Cookin in the Oven! What a joy! 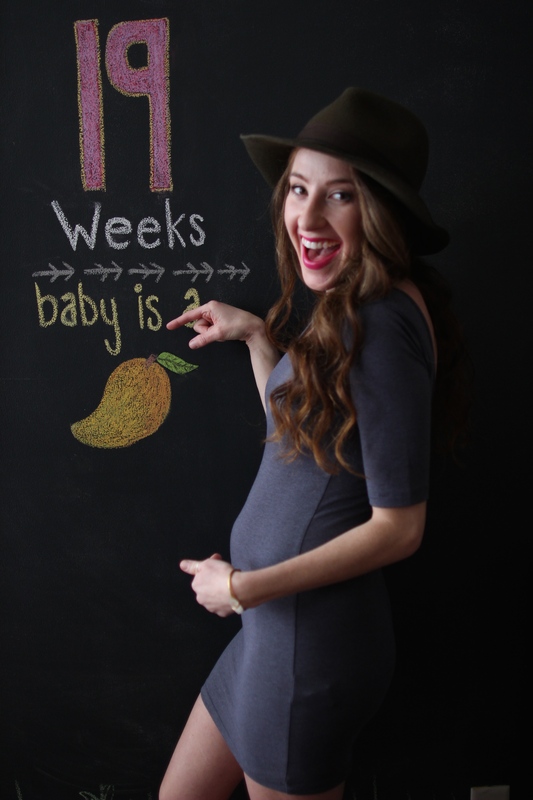 It’s so fun to feel the baby bopping around on the inside and it just gets better once baby is on the outside! Enjoy this wonderful journey. It’s so amazing (especially without nausea)! Thank you!!!! It is sooo fun and such an amazing surreal experience. Your blog by the way has such fantastic information on it, especially for a pregnant lady like me!